How do you make a feature film without Hollywood connections? According to filmmaker Lena Khan, the answer is serious hustle. 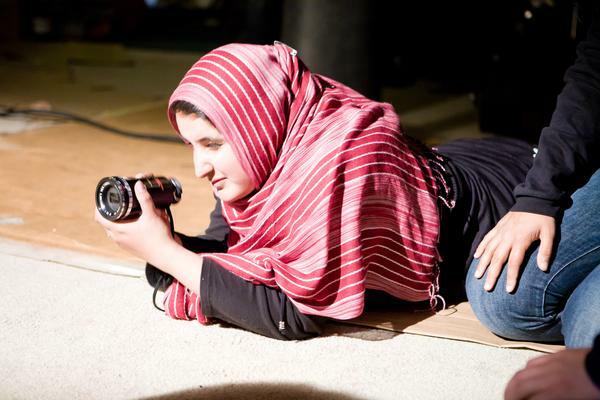 She began with a Kickstarter campaign where she rallied the South Asian and Muslim communities to which she belongs, to write, direct, and produce The Tiger Hunter. The film, starring Danny Pudi and Jon Heder, follows an Muslim-Indian immigrant on his journey to discover where he fits in 1970s America. Lena has been profiled in USA Today, Teen Vogue, The New York Times, and various other media outlets; won Sony Entertainment Television’s South Asian Excellence Award for contributions to entertainment, and now dedicates herself to making films that call attention to social issues through fun and engaging entertainment. THE TIGER HUNTER is the story of Sami Malik, a young Indian who travels to 1970s America to become an engineer in order to impress his childhood crush and live up to the legacy of his father—a legendary tiger hunter back home. When Sami’s job falls through, he takes a low-end job and joins with a gang of oddball friends in hopes of convincing his childhood sweetheart that he’s far more successful than he truly is…or perhaps ever could be. Lena Khan discusses the importance of accurate and positive Muslim representation in mainstream film-making by highlighting the success of other marginalized groups.